David Warner and Shikhar Dhawan guide the Orange Army to a 22 run haul against the Super Kings in a game where Kumar and Henriques flaunted their fantasy with the ball. Dhoni and Co won the toss and invited their opponents to display their batting skills. In reply Sunrisers Hyderabad took the CSK bowlers to the cleaners and set a mammoth total of 192 in 20 overs. Warner opened SRH's account with a boundary, and the first over was sealed with a four too. David Warner(61) engineered the innings for the orange army and battered the lads in yellow and left no stone unturned to take his team to glory. Shikhar Dhawan mitigated Warner's journey by his stunning 37 from 32. It was this duo that stood as the backbone for the lads in orange and black, getting huge numbers on the boards and generating entertainment for their home crowd. CSK failed to deliver but the Super Kings worked that extra mile to save those couple of runs. David and Shikhar had done the damage and Morgan(32 not out) partially filled Warner's shoes towards the end and his quick knock helped SRH cross the 180 mark. Henriques(19) started off well but couldn't make it a big one and soon fell prey to Negi. Rest of the middle order rotated their slots quickly and Karn Sharma was caught at the boundary by Jadeja on the last ball of Bravo's over. Chennai was unable to generate early wickets failing to compress the home team with pressure, McCullum dropping a crucial catch in the death overs was a major flaw. Smith and Mcullum opened the 2nd innings for CSK but their partnership failed to materialize as McCullum departed early and was soon Smith followed him to the pavilion. Suresh Raina tried to lead from the front but was made a victim to bowling. Raina left the Super Kings in a soup at 68/3 at the end of 8 over. The only man who could could turn the tide was the player with the Golden Touch, Skipper M.S.Dhoni. 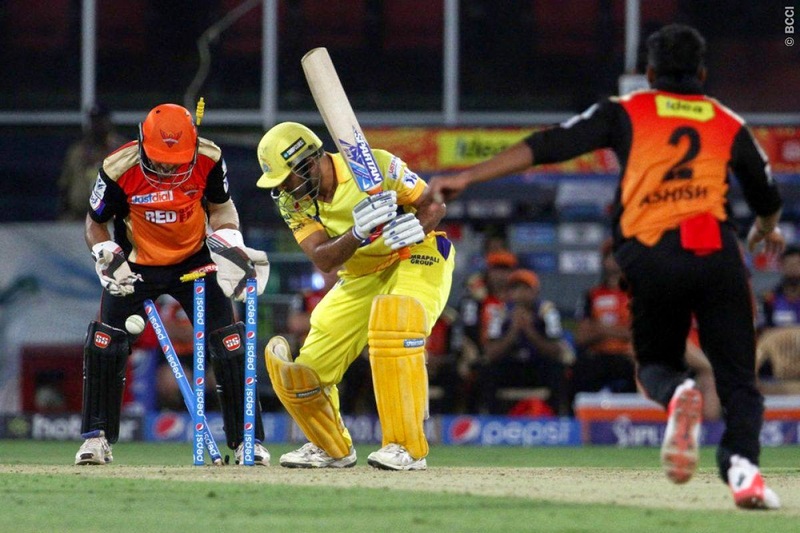 In the end, Bhuvneshwar(2/32) and Henriques( 2/20) bowl Sunrisers to a 22-run win over the Chennai Super Kings. The Man Of the Match Award was bagged by Skipper David Warner for his Captains knock. 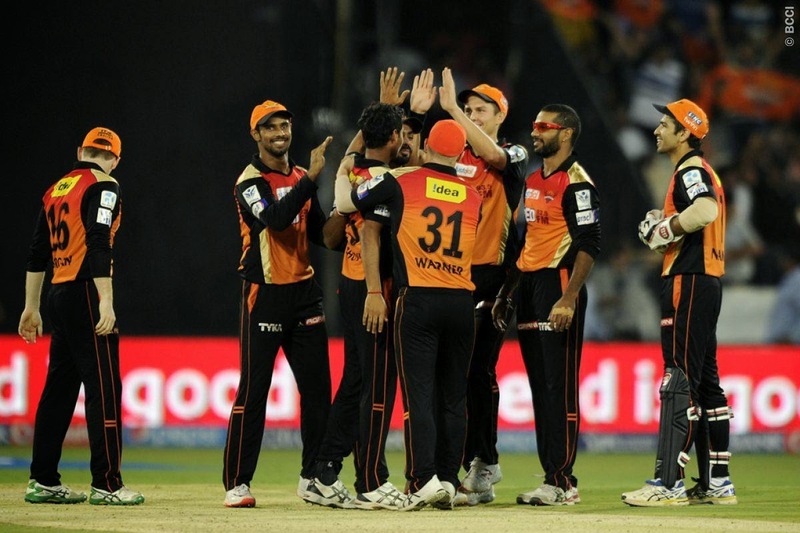 Sunrisers dismantle the Kings in IPL.